No Age Limits! 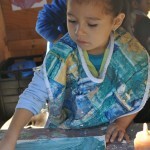 Children First Artists Create Paintings and Make Music! A Ringling student-artist created a magical art space by painting the Art Shed with world environments; Africa with tigers, Amazon jungles with tropical birds, and the Artic with whitesnow and white polar bears. 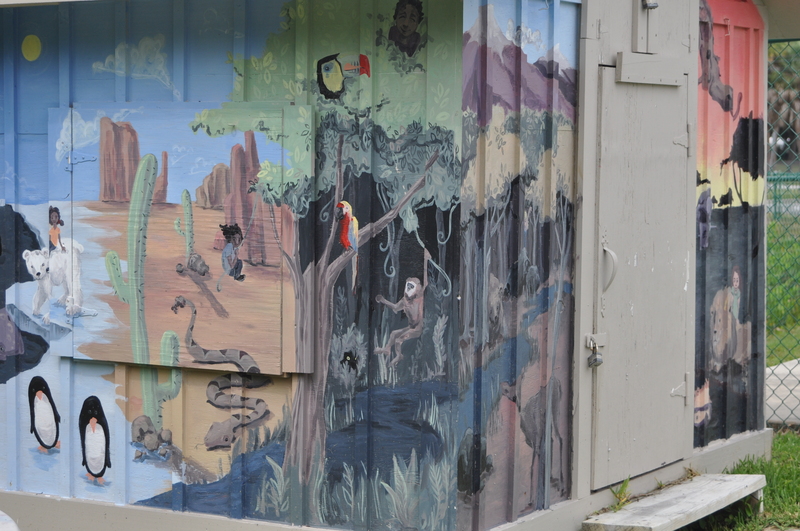 Children loved this special place for art, inside which they were real artists; painting on canvas and mixing their colors all by themselves. 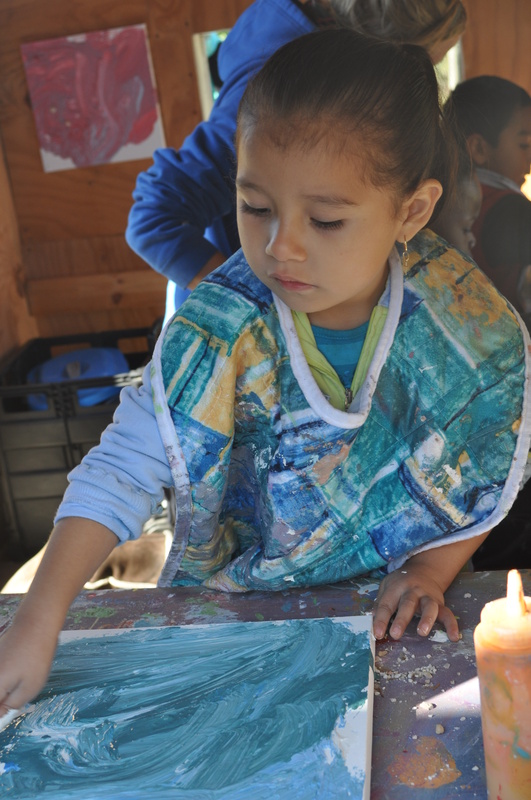 The young artists’creations of Canvas and Goop, with textures of seashells, stones and glitter, created a real buzz on campus when displayed for the parents. 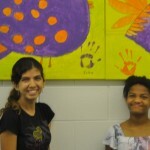 Every youngster at the Orange Ave. campus worked with the student-artist. YEA Arts also brought a professional development workshop, Words and Music, to all 50 of the Children First teachers, an energetic day with the national teaching artist showing ways to connect children’s favorite songs with children’s books. 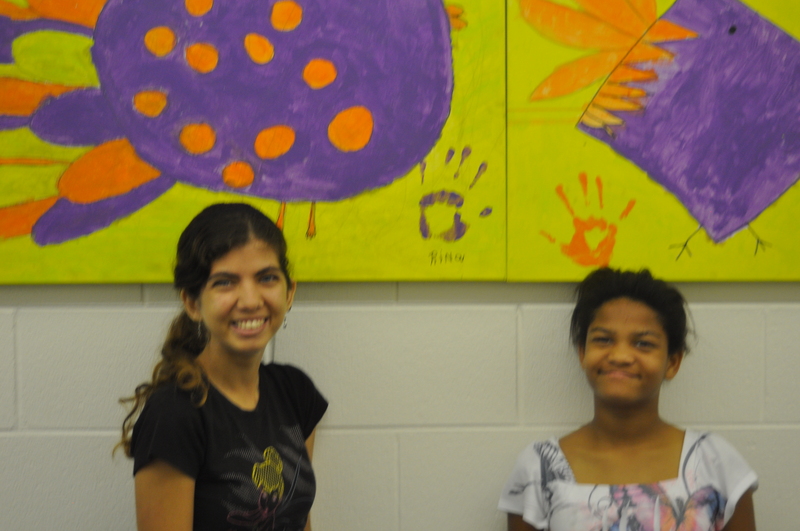 At Oak Park School working with a hearing impaired Ringling student-artist in residence, a class of hearing impaired students completed a large mural project. 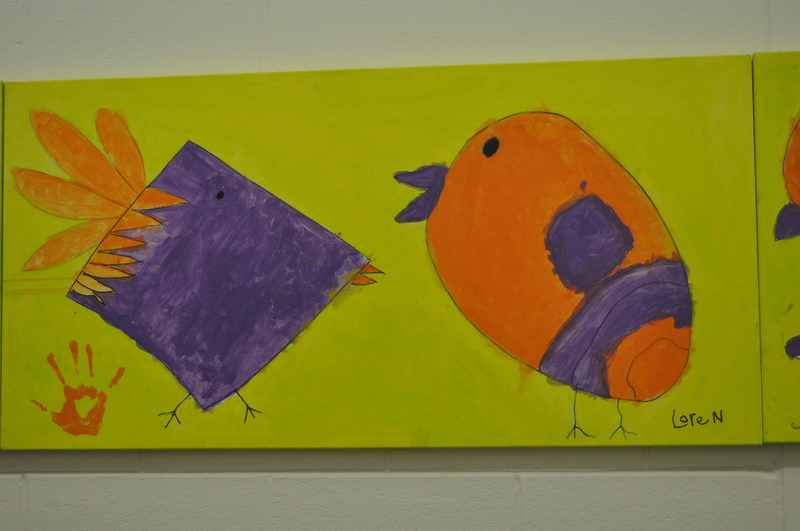 Each student created their painting of colorful birds in simple shapes. 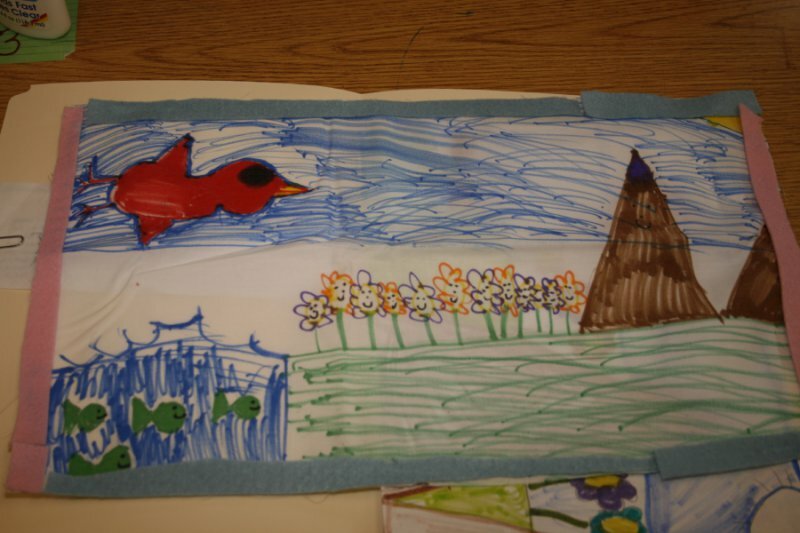 When the student art was combined, the created mural stretched down the school hallway, a permanent exhibit of happy greens, oranges, and purples with each child’s name proudly signed. 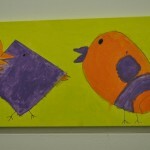 One young stroke victim was able to finally hold the brush and paint with different colors. 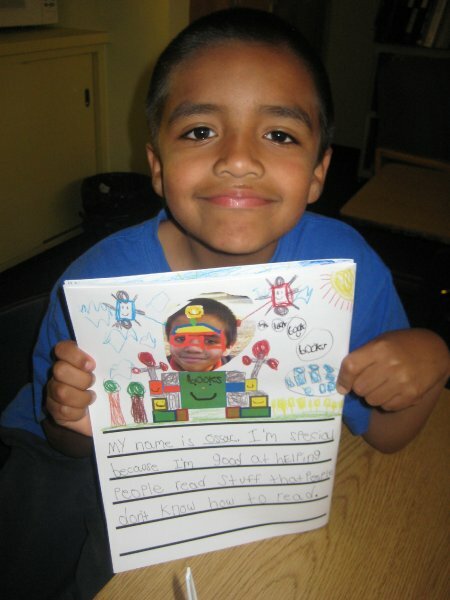 The Ringling student-artists created a book documenting the process of developing this art project, capturing the emotional experience of working with the Oak Park students.